You might not think about the bone structure of your face as often as you consider your other features, but your bone structure actually has a major impact on your appearance. A defined jawline is generally considered to be a physical asset for both men and women. Most male and female models have an angular, jaw with a significant amount of definition. The reasoning behind the attractiveness of defined jawlines isn’t completely clear and is widely debated. 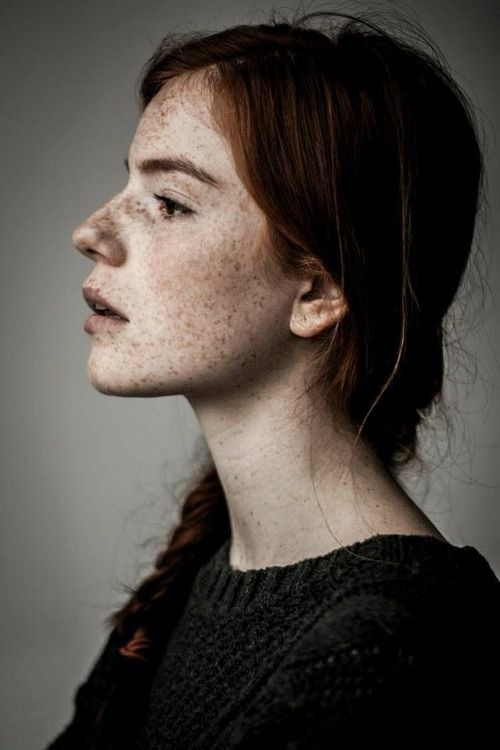 Many people think the appeal of jawline definition is due to how an angular jawline frames your face and makes it appear slimmer, while others believe this attractiveness stems from humans’ natural gravitation toward physical signs of reproductive health–such as a strong jaw. Regardless, the general consensus remains that an angled jaw is almost always more attractive than a softer chin. When it comes to your bone structure, what you’re born with is what you get. There’s not much you can do to change your natural bone structure, short of expensive and potentially damaging or dangerous plastic surgery procedures. Most women don’t care enough about the appearance of their jawline to go under the knife in order to change it, but many would feel more confident with a little more definition. Fortunately, it is possible to fake a defined jawline for the day using only the makeup you already have in your everyday collection. As you might expect, contouring is the first step to using makeup to create artificial jawline definition. If you want your sharper jawline to look natural, it is essential to use the right shade of contour and apply your contour to the right places. When contouring your jawline, use a shade of powder or cream contour that is one or two shades lighter than the shade you use to define your cheekbones or nose. Using this slightly lighter shade helps correct for the lighter skin tone on your neck and underneath your chin that results from minimal sun exposure. Don’t start applying contour at the edge of your jaw. Instead, start behind your ear to create a more natural, seamless finish. Using a medium angled brush, blend your contour in short, downward strokes. Stop at the center of your chin and repeat this process on the other side of your jaw. 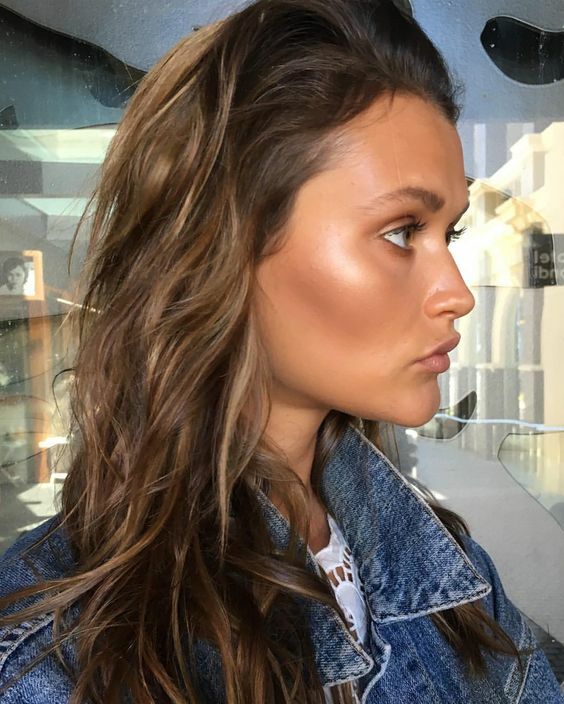 Highlighting just as important as contouring to achieve the jawline definition you want. Balancing the darkness of your contour with highlighter draws attention to your jawline and makes it appear sharper and more defined. Make sure you use a highlighter without a shimmery or overly shiny finish. Subtle, natural-looking highlighter in a shade that is close to your natural skin tone works best for enhancing your bone structure without looking cakey or obvious. When it comes to contouring your way to a slimmer jawline, the importance of blending cannot be overestimated. One of the most common ways to accidentally make the artificiality of a fake jawline obvious is to not blend your makeup as thoroughly as you should. The last thing you want is a tell-tale line under your chin that announces your makeup tricks to the world. After you blend the makeup along your jawline with a contour brush, use a larger powder brush to concentrate on blending your contour down your neck to ensure an even finish. If you blend your contour too high up on your face and end up with a makeup five o’clock shadow, blend a small amount of concealer onto your skin using a damp makeup sponge to neutralize the darkness. Again, thorough blending is the key to successfully pulling off fake jawline definition. Even if you think you’ve blended your contour seamlessly into your skin, you might be wrong. It can be extremely difficult to spot under-blended areas in hard-to-see places such as underneath your chin. Before you leave the house with a contoured jawline, look at yourself at multiple angles under different types of light to make sure your makeup is truly blended all around. Shaping and sculpting powders are special products designed specifically to enhance the appearance of your natural bone structure. These powders are meant to be used as an alternative to contour, bronzer, and highlighter for accentuating and defining your cheekbones, nose, and jawline. They come in dark and light shades for highlighting and contouring and have a subtle effect on your skin. If your goal is sheer coverage and slight definition for an extremely natural finish, try shaping powder. No one has a jawline that naturally shimmers. 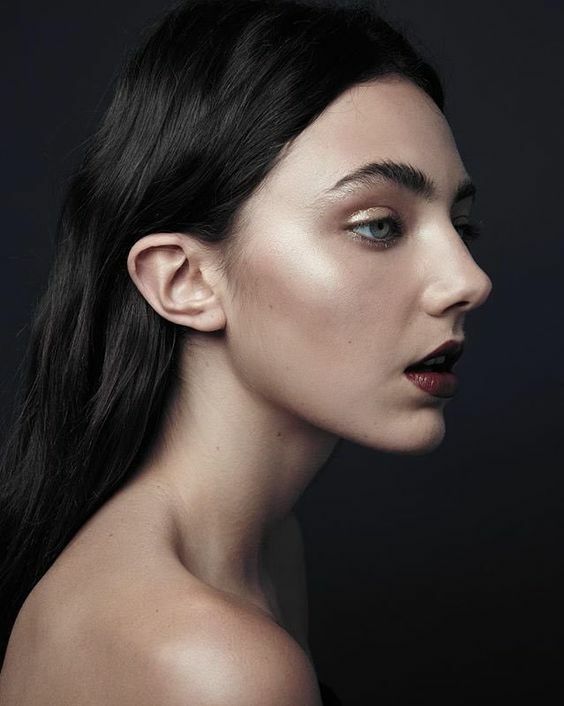 If you want to keep your fake jawline definition to yourself and create a born-this-way look, nix any contour or bronzer products that sparkle and stick with finishes only. Chunky glitter is a big no-no, but you also need to watch out for products with a subtle shimmery finish. The sparkle in these sneaky shimmery products isn’t always obvious at first glance, but will shine bright on your skin as soon as you step into natural sunlight. If you’re not sure whether or not a product has a shimmery or matte finish, scan its list of ingredients for any signs of glitter or sparkles before you buy it. There are two main types of contour: powder contour and cream contour. Which contour formula should you use to define your jawline? There is no single right answer to that question. The product that will create the best, most natural results for you depends on your skin tone, skin type, and contouring skill level. If you have a deeper skin tone, use cream contour. A cream formula creates a bolder finish that helps your contoured jawline stand out more. Cream contour can be difficult to blend seamlessly into paler skin. 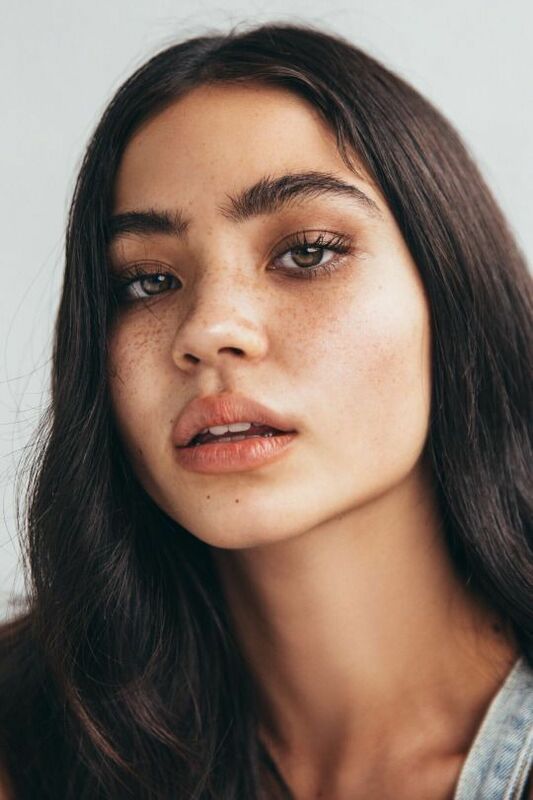 Women with fair skin often have more success contouring their jawlines with powder products that are easier to blend and distribute on your skin. In fact, powder contour is easier to blend into all skin tones. If you’re not very experienced with contouring, you’ll probably get better results with powder products. If you have oily skin, you should also stick with powder contour to avoid unnatural greasy patches under your chin. You might not be able to change the bone structure you were born with, but you can certainly fake it well enough to fool everyone else. Use the tips in this post to learn how to easily create the illusion of a more defined, runway model-esque jawline during your normal makeup routine.